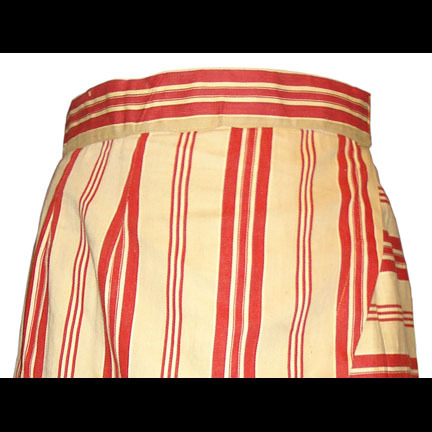 This tan and red-striped cotton twill Egyptian short schenti with attached decorative pendant belt with faux-leather end piece was worn by a charioteer in Cecil B. DeMille’s 1923 silent epic THE TEN COMMANDMENTS. 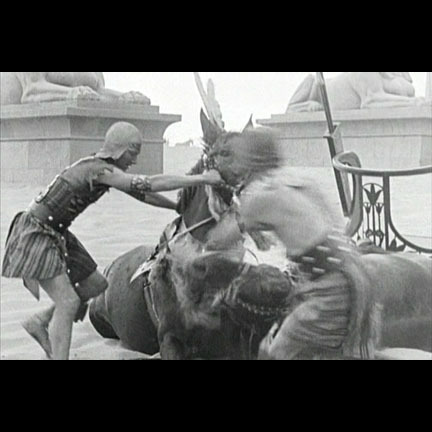 Unlike DeMille’s 1956 remake of his original silent film, only the first half of the 1923 version is set in Ancient Egypt, following the biblical story of Moses leading the Jews from Egypt, the destruction of the Egyptian army in the Red Sea, and Moses receiving the Ten Commandments. 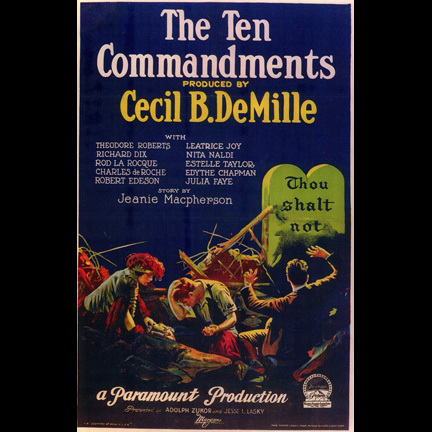 The second half of the film is a morality tale based on the Ten Commandments, set in modern times. 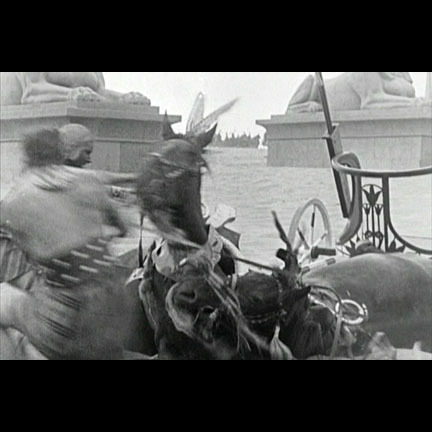 This schenti was used by one of the Egyptian charioteers during the spectacular sequence using hundreds of extras and horses in front of a massive set of the wall of the Egyptian city, where Rameses commands his army after the Exodus. 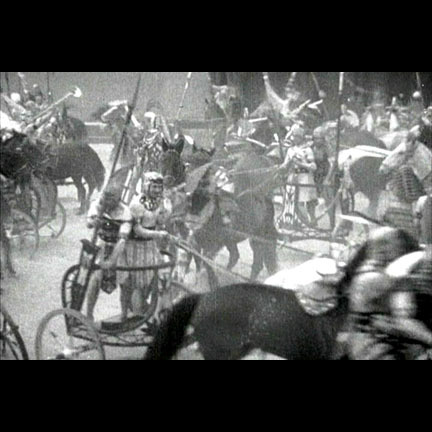 Most of the chariot crashes that occurred during the filming were real and unplanned, and these schentis can be seen quite clearly in a close shot of a chariot crash as the charioteers struggle with their horses. 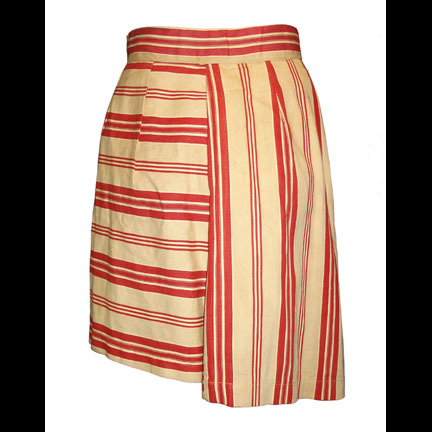 The schenti is in excellent screen worn condition with only minor evidence of age. 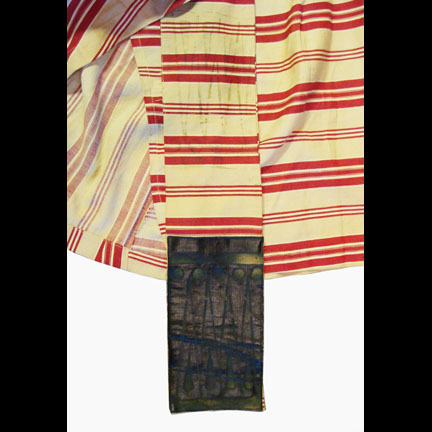 The cloth and faux-leather end piece of the attached pendant belt show markings of having had additional painted designs and ornamentation that has since been removed. 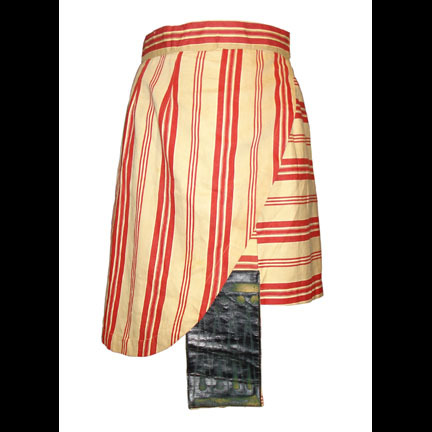 This piece was acquired directly from the Paramount Studios Costume Department and is accompanied by a letter of authenticity.